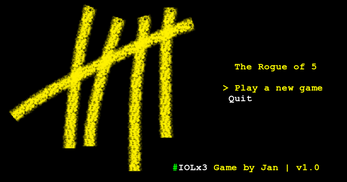 The Rogue of 5 is a short roguelike game, developed by using the number 5 as much as possible. 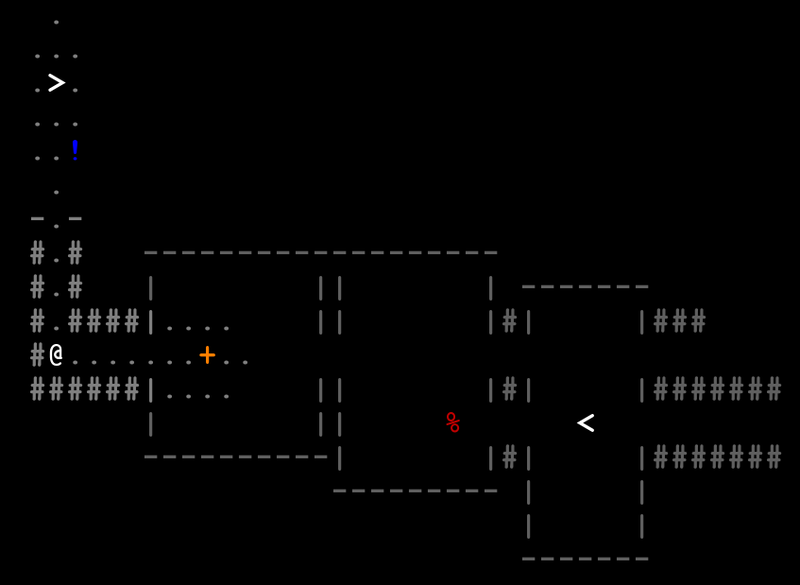 Hi, the first upload seems to have issues with the keys for using the stairs. Try backslash and shift+backslash for (English?) keyboards. It is fixed now to "a" and "A" in the new upload. Should work on every keyboard then. Have fun and feel free to report bugs :). THX! 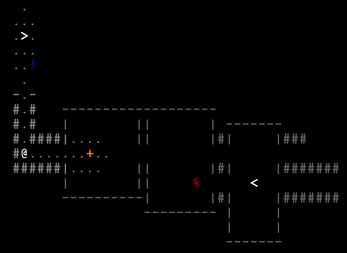 Replying in proper place now :) shift + backlash works fine :) But it's kinda weird, I always thought that handling input by BLT is layout-agnostic. Game crashes upon exiting from the main menu. Classic "rogueof5.exe has stopped working" message appears.